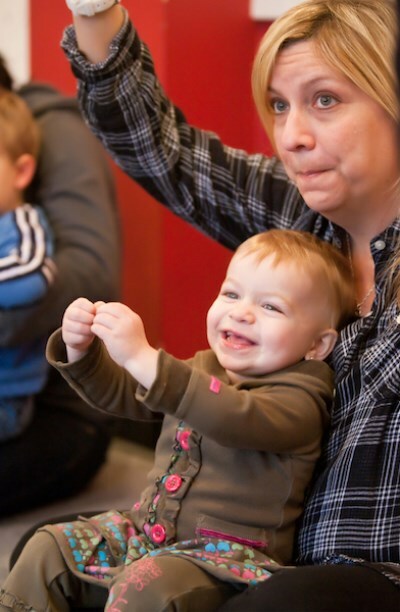 A pioneer in early childhood music and movement education, Music Together offers classes for children from birth through kindergarten, in which parents and caregivers actively participate. Sign up to visit a class and see why we’re so excited to make music with you. Or check out our schedule to find a class near you. How is this possible? Children learn differently than adults. They learn instinctively and constantly. They teach themselves through imitation and play, through being immersed in their environment, and through every interaction with adults and older children. So much more than a "Mommy and Me" class, the family-like setting of Music Together's mixed-age classes enables siblings to attend together, creating an ideal learning environment where infants, toddlers, and preschoolers can freely participate at their own levels. Each semester, families receive an information rich Family Resource Guide containing the song collection CD and a digital download code - along with an illustrated songbook that's filled with music-making ideas for spontaneous music play beyond the weekly classes. We welcome you to try a class and experience Music Together for yourself. Or view the current schedule and find a class near you.